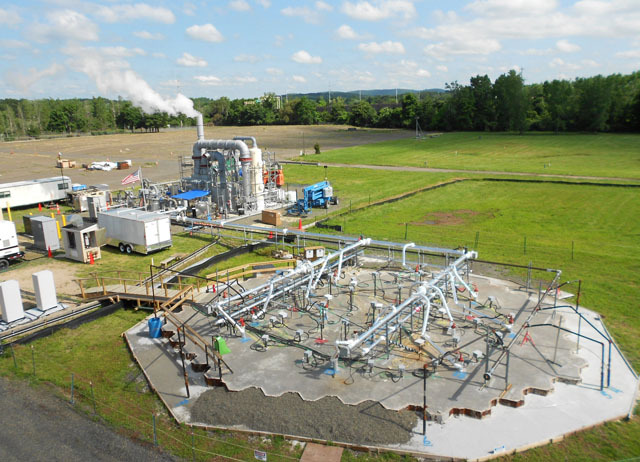 A pilot in-situ thermal remediation system was installed in an area adjacent to the former production yard and operated during 2012 to remove and treat contamination located up to 30 feet below the surface. Impacted sediments were removed from a small tidal flat area located along the perimeter of the property. On October 6, 2014, Pfizer welcomed USEPA Region 1, CTDEEP, representatives of the Town of North Haven, and the Citizensâ€™ Advisory Panel to the site to commemorate the near completion of east side remediation activities and initiation of ecological restoration along the banks of the Quinnipiac River. Click here to read a North Haven Citizen article about the event. A pilot in-situ thermal remediation (ISTR) system was installed in the former Polishing Lagoon adjacent to the former production area of the site, the most highly contaminated area, to treat Dense Non-Aqueous Phase Liquids (DNAPL), the primary source of groundwater contamination. This pilot system, which operated during 2012, provided significant field data that will be used to design a full-scale system which will be installed in 2015 to remove and treat contamination located up to 30 feet below the surface. On March 31, 2011, U.S. Environmental Protection Agency (USEPA) and Pharmacia & Upjohn Company LLC entered into an updated Administrative Order on Consent to implement the corrective measures as outlined in USEPA's Final Decision dated September 10, 2010. 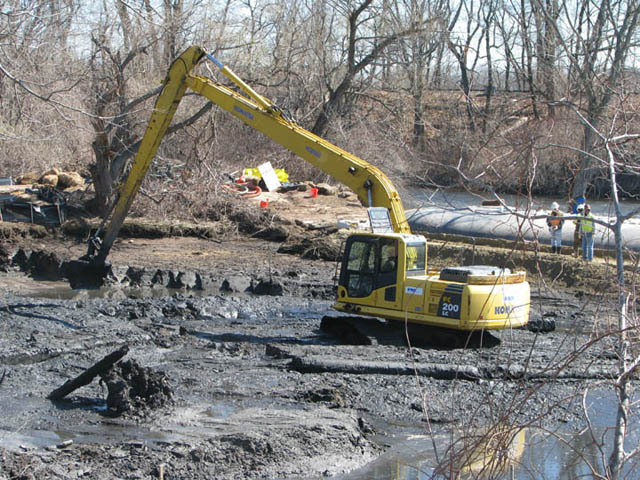 The U.S. Environmental Protection Agency (USEPA) and the Connecticut Department of Environmental Protection (CT DEP) released its final decision on the site-wide remedy on September 10, 2010. A public notice of the Proposed Remedy for the site was published in the New Haven Register on June 19 and June 20, 2010. The public was provided 45 days to submit comments on the proposed remedy and the opportunity to attend an informational meeting held on August 4, 2010 at North Haven High School. Pfizer submitted a revised Corrective Measures Study (CMS) to USEPA and CTDEP on February 5, 2010. In January 2009, Pfizer submitted the draft Corrective Measures Study (CMS) to USEPA and CTDEP.